Heading to Perth but don’t fancy a city stay in the CBD? Try South Perth! It’s actually its own city and still just 10 minutes’ drive away! Leave the CBD buildings behind and take to the leafy, tree-lined streets and urban village atmosphere that people love about this part of town. Home to some of the most affluent suburbs in WA, South Perth can also boast about its stunning views across the Swan River and the Perth city skyline. 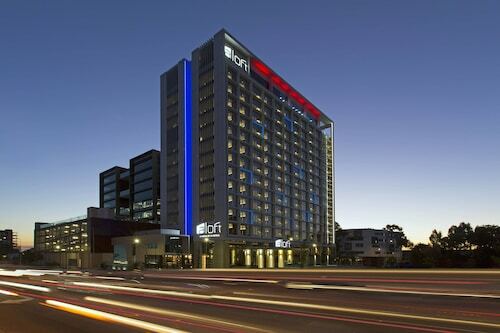 Check out our range of South Perth hotels now to see what we’re talkin’ bout! The South Perth Foreshore is the centrepiece of this vibrant piece of Perth, bound by the Swan River on one side and the Canning River on the other. Whether you’re on your own, holidaying with your other half or with the whole family, everyone will love the green sprawling parklands here! It’s home to heaps of concerts, local fairs and markets, but even when there’s nothing on you can cycle the paths, hire a surf cat, or chuck a few snags on the free barbeques in the picnic areas. 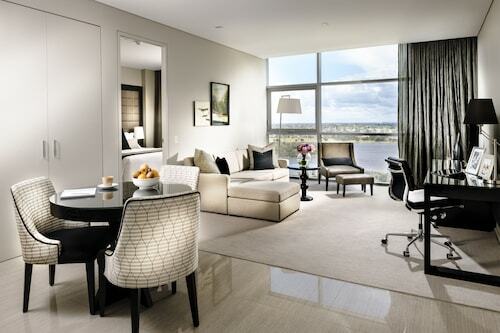 All this, with the Perth CBD skyline as your backdrop on the other side of the river! Away from the beautiful foreshore, the relaxed vibe transforms into more of a cosmopolitan buzz, with so many great little cafes and sophisticated restaurants. Many have prime views over Swan River, Kings Park and the city skyline, while others are tucked away in the leafy streets like Mends Street. There are numerous dining and retail precincts to explore across South Perth, whether you’re hungry for food or fashion. Bustling Angelo Street will satisfy your craving for sparkling new garments, accessories and homewares. If it’s cute and fluffy animals that you love most, you’ll love the award-winning Perth Zoo! Every day they have heaps of walks, talks and presentations about everything from elephants and giraffes to penguins – as well as their behind the scenes Eye to Eye Encounters. Just a short walk from here is Mends Street Jetty. Grab the Transperth Ferry from here – it’s the best way to get out on the water, see South Perth from afar, and glide all the way to the Perth CBD for more holiday pursuits. You might even spot a dolphin on the river! South Perth is so close to the Perth CBD – literally on the other side of the river – and its gorgeous tree-lined streets give way to a relaxed atmosphere and a buzzing local dining scene. It’s the perfect place to escape the action of the city centre, but we’re waiting in the sidelines ready to pounce when you need it! Book one of our South Perth accommodation options now. How Much is a Hotel Room in South Perth? 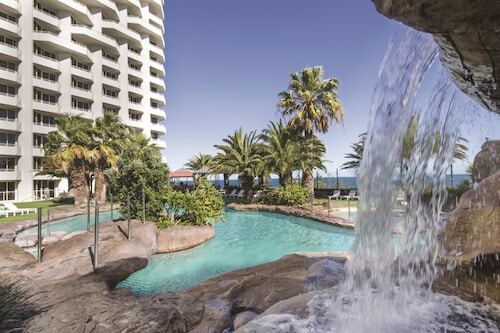 Hotels in South Perth start at AU$94 per night. Prices and availability subject to change. Additional terms may apply.